Not wanting to deviate too far from the theme outlined at the beginning of my last blog post, I had originally intended on entitling this entry My First Facial. Although this would no doubt have seen web traffic go through the roof, I thought it would probably do little for my reputation as a writer, so I erred on the side of caution. Just to clarify, the last two weeks have been full of firsts. I really did get my first facial (from a beautician, stop smirking), I debuted on live radio and I stood on the helipad at Burj Al Arab (all of which I’ll talk about later). But, perhaps most importantly, I did something that forced me to reassess myself on a philosophical and moral level. Something that I’m not proud of, but that had to be done and taught me a lot. I stole my first shopping trolley. You may have noted that the statement above says first and not a. That’s because I’m going to do it again. Not in a weird “I’m addicted to the feel of latticed metal beneath my bare cheeks” kind of way, but more out of necessity. You see, I still don’t own a car out here in Dubai, so a weekly shop involves a five-minute walk over to Carrefours (essentially the French equivalent of Tesco) and a depressing, sweaty, shopping-bag laden trip back. 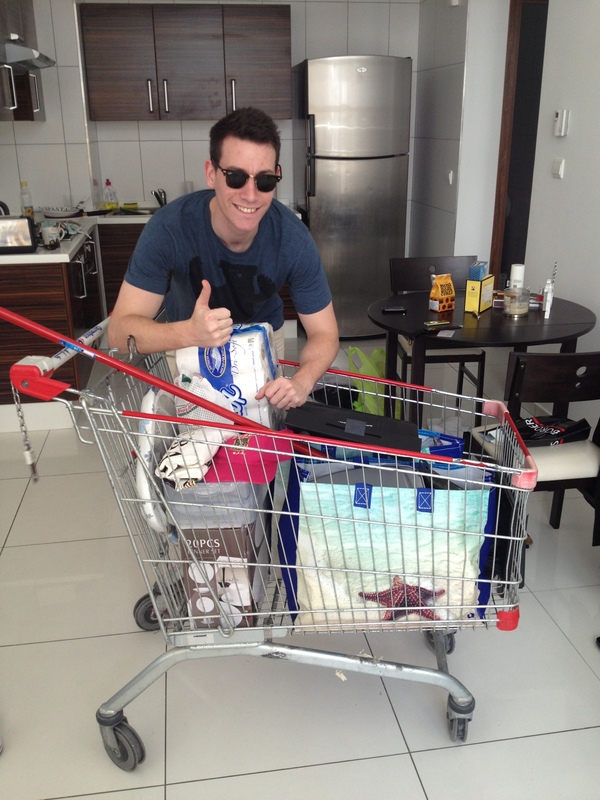 Top five tips for stealing a trolley from a supermarket in Dubai. 1. Act nonchalantly. No one suspects a casual stroller. 2. Don’t push it through sand. 3. If possible, avoid curbs. 4. Don’t live on the ground floor? Use the lift. 5. If approached, speak in tongues. Just in case the Dubai Authority for Very Serious Shopping Trolley Theft is reading this, it was returned to the store. Probably. 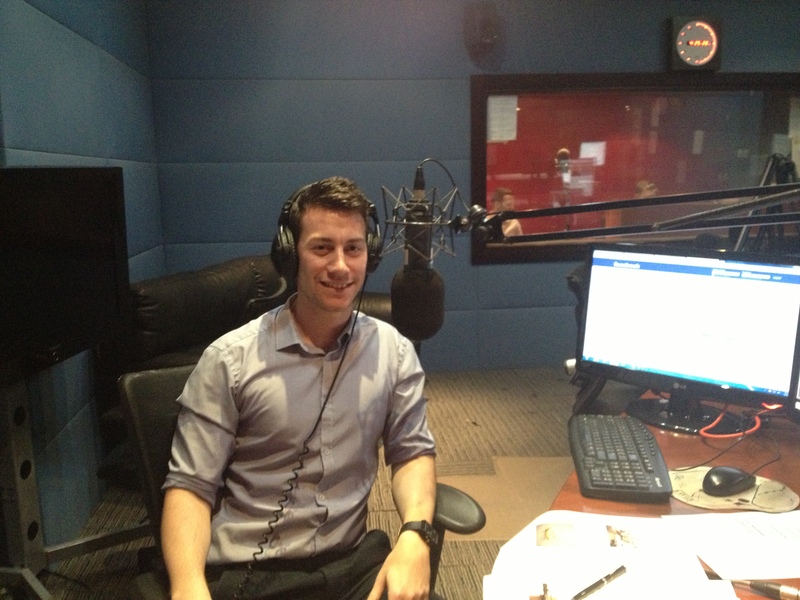 Another first from last week that I think is worth mentioning is my radio debut. My live radio debut. I would be lying if I said that the prospect of speaking to thousands of listeners on a topic that I had researched literally three hours earlier wasn’t daunting. I would also be lying if I told you that I didn’t have a “push the big red button and see what happens” moment. I mean, the opportunity to say absolutely anything on live radio doesn’t come around too often, does it? Luckily, my brain re-engaged pretty quickly and I decided that rather than losing my job, I should probably try to do it. Then it was just me and my good ‘ol crippling nerves, which you may notice at the beginning of the podcast below. Having said that, it did go much better than expected, if a little more generously punctuated by ‘urms’ than I would have liked. If you feel as though you still haven’t had your fill of my deep, velvety voice (I’m often referred to as the Barry White of my generation) you can listen to the full travel show here. I must admit, working in the press in Dubai has certainly delivered some unique opportunities. 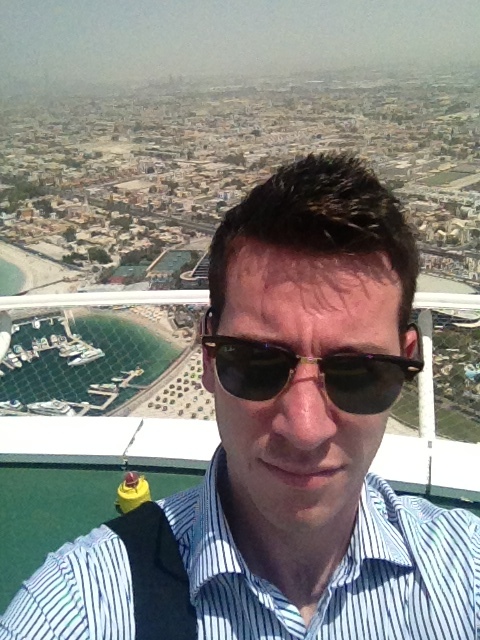 Aside from my attempted ‘talking on the radio’, I also found myself visiting Burj Al Arab for the first time last Sunday (the working week in Dubai runs from Sunday to Thursday with Friday and Saturday as the weekend, who knew!). As one of Dubai’s most iconic buildings, I was pretty excited to see it up close and personal. But I never expected to stand on its helipad. Naturally the first thing I did was pretend to be Federer. Then Tiger Woods. Then a non-descript billionaire. I think my facial expression in the obligatory selfie below sums up that combination of winning personalities. The other interesting situation that I found myself in this week came in the form of a facial at the The Ritz-Carlton spa. If you know me, you’re probably thinking “classic Simon, can’t get enough of those bloody five-star spas.” What can I say, you don’t get a face like the one above by not looking after yourself. Anyway, I’m not going into the details of the facial here, because I already wrote a review. You can read that if you want to know what it felt like. I promise it didn’t feel like emasculation. And so concludes my second blog post. I know that last time I promised to tell you about house hunting in Dubai and my first personal training session (which I now realise would have fit the theme of this post perfectly, except for the vomit bit) but I obviously never got around to it. There’s always next time though. One love. 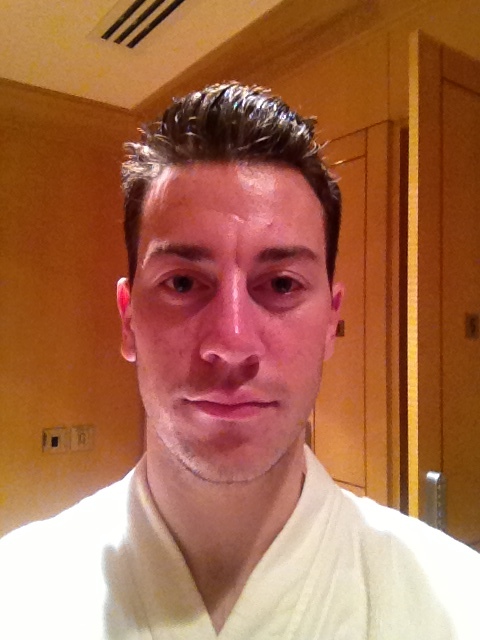 Oh, I just remembered that I actually took another selfie after the treatment specifically for this blog. It’s unlikely I will be able to use the picture in any other capacity, so as a perfect sign off, here it is. I like the post very funny! Especially the caption of the photo: ‘”I know it’s a unique opportunity, but I’m ungrateful and it’s a bit too sunny”‘. Thanks Karina, glad you enjoyed it. It really was a bit too sunny.